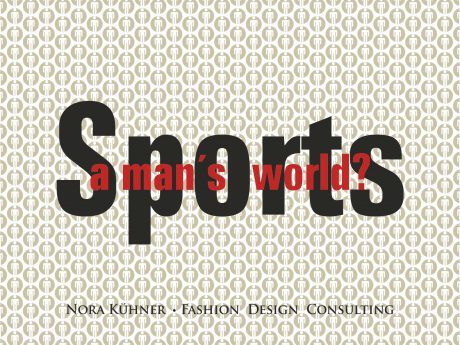 A glance at the sports industry and their products shows pictures of a man´s world. Rather homogenous collections follow more or less the ideal of high-performance challenges, loaded with sweat and adrenaline. Marketing campaigns delight in showing the extreme side of sports. And of course most of these extreme activities take place outdoors – in wild and dangerous natural settings. Fabric properties are ever improved and adapted to latest technological developments. The technical optimization of manufacturing is pushing the limits as well. No wonder that sports apparel and accessories resemble an armor – the sports apparel industry concentrates on offering ever more protective and functional garments. And sad to say: They look all the same. No particular signature can be recognized. Only the logo allows the identification of the single brand. Therefore it is high time for the sports apparel industry to re-think the further development of sports clothing. At the core the development of sports garments has to consider functional, aesthetic & socio-cultural dimensions. Sports have deeply changed within the last two decades. Once seen mainly as pure physical exercises, sports has turned into a matter of lifestyle. 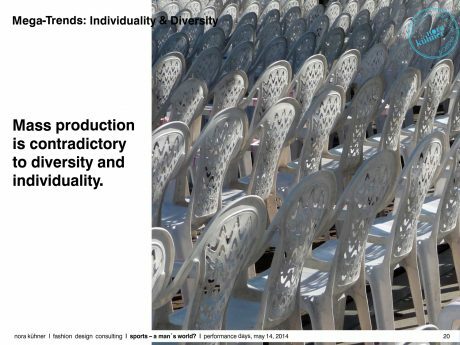 In ever more fragmented modern societies, individualization is growing. 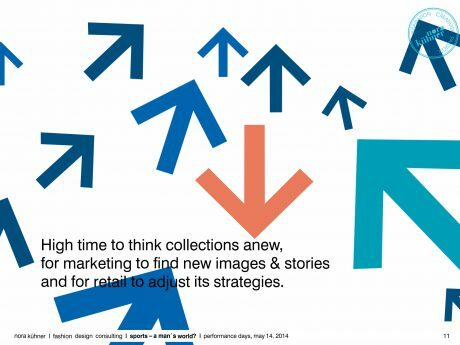 New target groups have been appearing on the scene but the sports industry still clings to the traditional ideas and images as guidelines for the development of their collections. Therefore a lot of consumers in the classic industrialized countries feel neglected by the sports apparel industry: Women practising sports do not feel attracted by the results of this spirit – they do not like neither the advertising campaigns nor the products themselves. It is high time both for the industry and the retailers to discover the chances of diversity! More people than ever practice sports – and this does not mean high-performance sports. The number of high-performance sports people is rather small, the others – the majority – just enjoy movement and the feeling to do something good for themselves. And they expect the industry to support them in doing this. 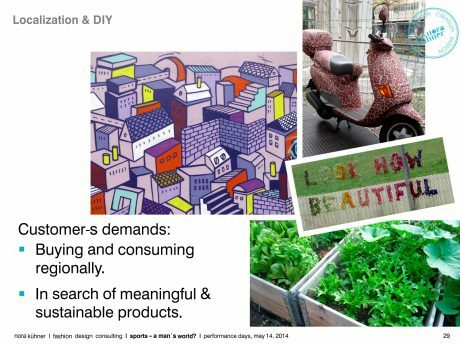 The current system of industrial production is not fitting the demands of modern societies – individualization, global mobility, localization and a growing ecological awareness have “produced” a multitude of fastidious, diverse & powerful consumers. And these consumers have grown up and ask the industry to feed their particular needs. Get your individually shaped interpretation and consulting in the field of sports apparel.